"Radio-Coteau works closely with Select cool-climate coastal vineyard sites in Western Sonoma County and Anderson Valley to offer wines with vibrant, balanced fruit and a distinct sense of place. To craft unique expressions of sites and seasons, they focus on detailed and sustainable viticulture in conjunction with a natural, non-interventionalist approach in the cellar. They actively collaborate with their growers to enhance the character of each site by promoting vine balance and healthy soil. Allowing the wine to evolve naturally during vinification and elevage preserves the integrity of the vineyard and the vintage. 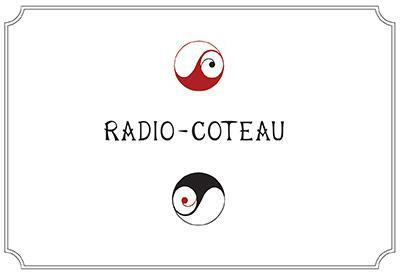 Radio-Coteau (r?´d? ?´ - k?´ t?) adj. A colloquial expression suggesting "word of mouth." Region: Northern Rhone. Literal Translation: broadcasting from the hillside. Winegrower Eric Sussman first heard the expression radio coteau from a friend while living and working in Burgundy. More than a preference for how you discover these wines, the name reflects a commitment to capturing reflections of soil, seasons, people and place."